Celebrating 25 Years of Community Employment! 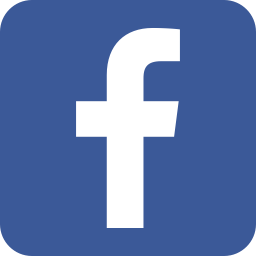 - Opportunities, Inc. Celebrating 25 Years of Community Employment! Pam Deemer smiles proudly as she celebrates her 25th year of working in the community after being placed by Opportunities, Inc. of Fort Atkinson, specializing in training and employment services for the community. Deemer has been working diligently at Nasco in the packaging department, alongside co-workers that she looks forward to seeing every day. She noted that she never thought she’d be working there for that long and with people that she has become close with. What she is most proud of is buying her very own car all by herself. Nasco acknowledges staff years of service milestones by hosting an annual recognition day. Staff members are given a certificate and a gift in appreciation for their hard work and dedication. 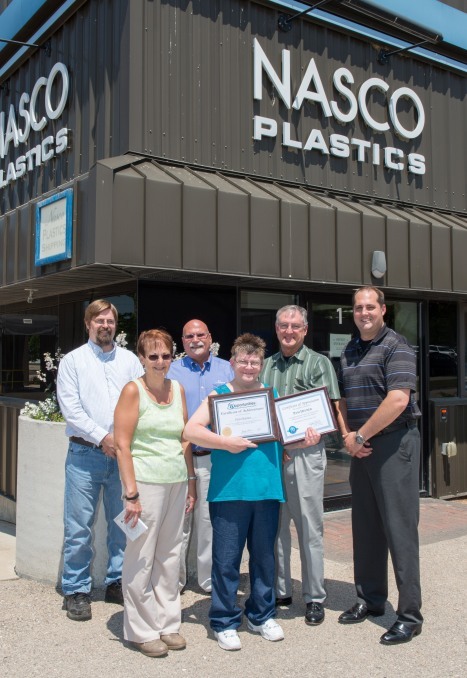 Nasco Plastics Operations Manager Terry Kendellen, Nasco Executive Vice President Steve Richter, Nasco President Dean Johnson, Opportunities Inc. Vice President Jason Frey, Nasco Supervisor Karen Jeske, and Pam Deemer.